Students's residential college of the International Islamic University Malaysia (IIUM) is better known as Mahallah.The word Mahallah refers to a place where it is supposed to be a self-contained not only with services but also activities. IIUM chooses to name its Mahallah after the leading companions of the Prophet S.A.W and the female Muhahidah and Syuhada. 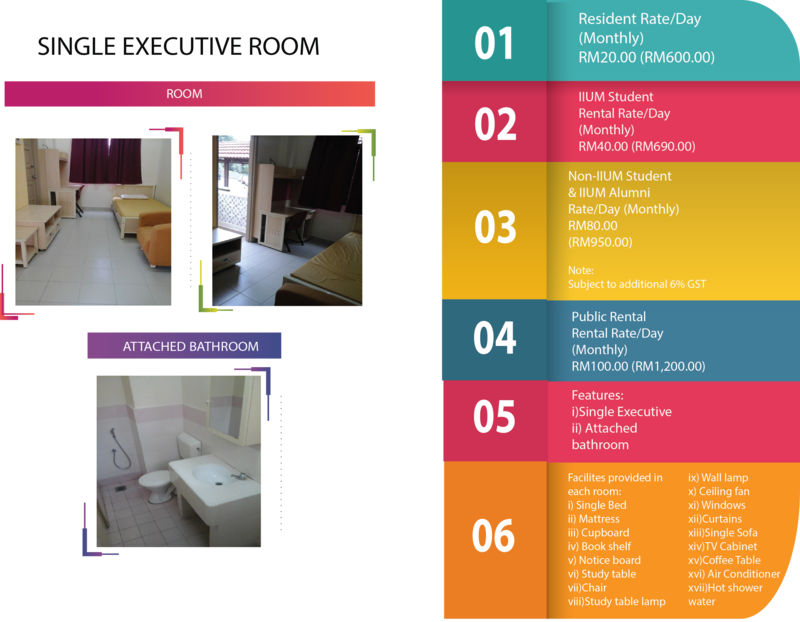 IIUM provide 80% accommodation for its full time undergraduate students. For postgraduate students, the accommodation is provided based on availability of rooms. Priority are given to new intake students. Currently, IIUM Gombak has 17 Mahallats that accommodate about 16,000 students who come from various countries and cultures. Each mahallah is lead by a Principal and assisted by administrative staff and fellows. The administrative staff concentrate on the administrative and maintenance requests of mahallah while the fellows focus on the students' matters and activities.